"Get ready for a new Ebony -- smart, modern, forward and totally fresh for a new generation," says the new EIC. Kierna Mayo is moving up at Ebony. The Johnson Publishing title has named Mayo editor in chief. 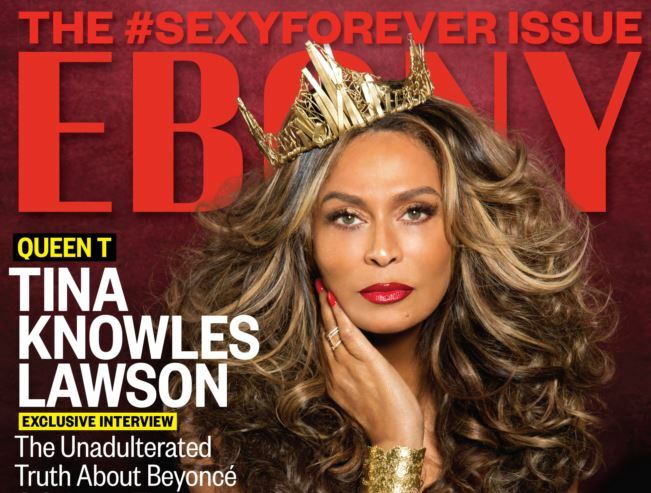 The new Ebony includes Tina Knowles, complete with crown, for the July cover. Daughter Beyonce has been sharing the photoshoot on her official site. Mayo had been Ebony’s editorial director since 2011. She’ll be based in the New York office of the 73-year-old, Chicago-HQ’d company. Meanwhile, Kyra Kyles, who has been editorial director of sister publication JET, has been promoted to vp, head of digital for ebony.com and jetmag.com. The Ebony brand reaches more than 10 million readers every month in print and digital platforms.